The perfect math game for learning to recognise and count United States of America coins! 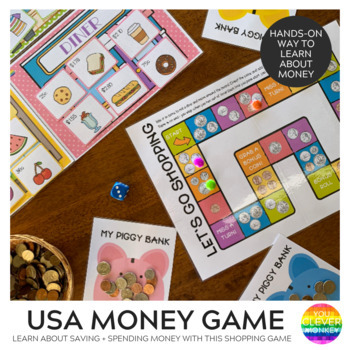 This fun hands-on shopping game is an ideal way to engage young children while they practice recognising and matching the different USA coins. They also have to count and add small collections of coins before they can go shopping in the six different shops. 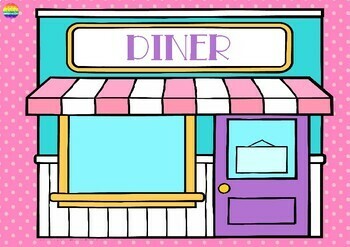 Included in the download are two different game boards (1 x all USA coins, 1 x most common USA coins (quarters, dimes, nickels, pennies only), six shopfronts, 2 sets of product cards (smaller and larger amounts of money) and six piggy bank mats are included. 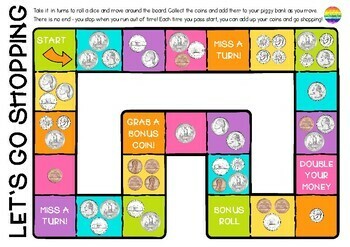 Just print then add counters, a dice and some USA coins for your students to collect as they move around the game.